cricket Is Time of Misbah Ul Haq Over As Captain? Pakistan Cricket team has shown good as well as bad performance in last two years after Misbah Ul Haq became captain of the team. Pakistani team played all the matches outside of their country as International cricket has still not came back to Pakistan. Misbah Ul Haq is a very good Batsmen however he is often criticized for his slow batting style. Pakistan also lost some big matches in which Misbah played slowly after which people started calling him Tuk Tuk. Misbah is very lucky because he is still captain of Pakistan's ODI and Test team despite all the criticism. Luck has also supported him many times. for example recently Pakistan defeated India in India in ODI series. Misbah got lot of credit because he was captain of Pakistan team in this series. however his batting performance was not great in this series. Now Pakistan Cricket team is in South Africa where it got white washed by 3-0 from the hosts. 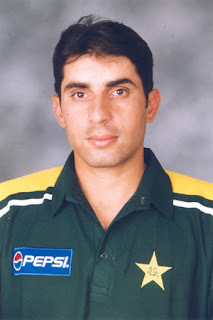 now if Pakistan also lost the ODI series the captaincy of Misbah may come in danger. Former Cricketers and experts are saying that Misbah should leave ODI Cricket and only play tests. other experts says that Misbah should completely retire from International Cricket as is 38 years old now. Now only time will tell if Misbah loses the captaincy or the luck will again support him somewhere to stay as captain of Pakistan ODI and Test teams. however we should forget that Misbah will himself leave the captaincy because this trend never existed in Pakistan Cricket.